The Board of Directors of Seacoast Outright is pleased to announce the appointment of Hershey Hirschkop as the new executive director for the organization. Hirschkop's selection follows an extensive search to locate the right mix of organizational management and programming skills combined with personal passion and commitment to Outright's mission. 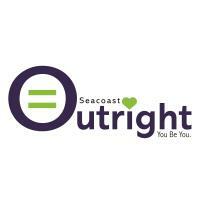 "There has never been a more important time for us to support LGBTQ youth in our Seacoast communities" Hirschkop said. "While the Pride event may be Outright's biggest and most public effort at support, it's much more the other programming we do in supporting schools, families, communities, and youth themselves that makes me so excited to take over this role." Hirschkop has more than 35 years of experience in the non-profit sector, first in LGBTQ organizing and later in the affordable housing development sector. ''The thread that ties together my career is a deep personal commitment to social justice," she said. She is looking forward to working with the seacoast community to continue outreach, education, and support services to area youth, their families, friends, and allies. ''We are proud of how much we have accomplished in the last 25 years as advocates and supporters for seacoast LGBTQ+ youth, and are confident that Hershey's blend of skills, enthusiasm, and experience will provide the perfect leadership going forward,'' said Joyce Kemp, Acting Chair Seacoast Outright. The Board and Hirschkop are looking forward to working together, envisioning expanded programming and a future new home.